Overlooked but certainly not to be underestimated, Senegal is the gem of West Africa and is characterised by varied natural landscapes, a distinct colonial heritage and vibrant culture. Home to seven UNESCO World Heritage Sites, the tallest statue in Africa and the smallest National Park in the world, Senegal is brimming with endless things to see and do. Not overrun with swarms of tourists, Senegal doesn’t need to boast about its attractions, instead it quietly allures with the promise of astounding nature, charming towns and friendly locals whose smiles alone will make any trip here truly remarkable. 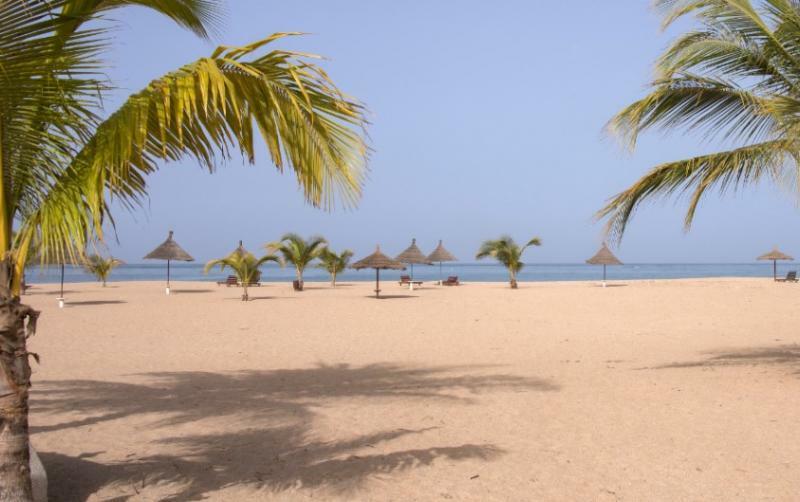 At first, Senegal may not overwhelm you as a beach destination, but with 330 miles of Atlantic coastline, it doesn’t disappoint as a beach getaway. For picture-postcard beaches with white sands, clear waters and a host of restaurants and bars, look no further than the Petite Côte region. If you long for a classic beach holiday with cocktail in hand, Saly is your best bet while for those of you who prefer to soak up daily life, the animated seaside town of M’bour sees a fish market on the beach with freshly caught seafood gutted there and then. Not just for sunbathing, the Senegalese coast is a surfing destination in its own right and attracts surfing enthusiasts from all over the world who seek the thrill of surfing rolling waves without being surrounded with hordes of other surfers. The country’s position on the Atlantic Coast mean that there are unparalleled opportunities to catch those waves and for those serious about the surf need to head to N’gor Right, considered to be one of the best surfing spots in the world. Waves are consistent all year round and are ideal for beginners and experienced surfers alike. A designated World Heritage Site and the former capital of Senegal and West Africa during French Colonial rule, Saint Louis is a city of contrasts with an enviable laid back vibe, dusty streets and colonial buildings that serve as a reminder to its past. The town is actually positioned on a strip of land between the two arms of the mouth of the Senegal River which gives it an even more amiable appeal. Brush up on Senegalese history and visit the Saint-Louis’ Research Centre and Documentation Museum of Senegal where there are a number of exhibitions detailing the country’s ethnic movements and traditional customs. Yet another UNESCO World Heritage Site, Gorée Island is situated off the coast of Dakar and with no cars on the island and few inhabitants, it presents travellers with a welcome escape from the clamour of the mainland. The island played an important role in the Atlantic Slave Trade and functioned as a major connection between the western world and Africa. Retrace the poignant steps of history and visit the House of Slaves, a haunting journey that retells the plight of slaves before they were sent away for a lifetime of enslavement. From the island, you’ll also be gifted with vistas over Dakar’s skyline. Africa’s answer to Stonehenge, the Stone Circles of Senegambia are four large groups of megalithic circles that are comprised of more than a thousand stone circles. Situated between the River Gambia and the River Senegal, their purpose remains a mystery and the exact date of origin of these impressive stone circles is unknown but researchers estimate that they were formed between the third century BC and 16th century AD and were used for burials. The largest of the groups is Sine Ngayene in Sine Senegal, which is home to 52 stone circles, one double circle, and 1102 carved stones. As soon as you set your eyes on this enchanting lake, you’ll become enthralled by its outstanding beauty. The unique pink colour of the waters will have you itching to take a photo to send home and make far away friends green with envy. Literally translating as ‘Pink Lake’, Lake Retba or Lac Rose is exactly as the name implies; a lake with pink coloured waters. Similar to the Dead Sea, the high salt content means that bathers can float with considerable ease. Visit during the dry season of November to June to see its colour at its most vivid. It would be impossible to visit an African country without spending time at a National Park and taking in the mesmerising sights of some of the planet’s greatest animals roaming freely in the open space. Nature enthusiasts and avid bird watchers will rejoice at the great selection of National Parks and fantastic wildlife spotting opportunities available in Senegal. Seek out the likes of hippos and leopards at Niokolo-Koba National Park, admire the expansive wetland of the Djoudj National Bird Sanctuary, home to more than 1.5 million migratory birds, and stop off at Ile de la Madeline, the world’s smallest National Park. At 49 metres high, the African Renaissance Monument is the tallest statue in Africa and even taller than the Statue of Liberty. This striking yet controversial monument is of great significance for not only Senegal as a country but Africa as a continent as it depicts a man, woman and child who represent the strength of the continent. It was completed in 2010 to commemorate 50 years of independence from France yet has been shrouded with criticism due to its high cost, Stalin-esque design and it being built by a North Korean sculpting company. Whether you love it or loathe it, it is absolutely worth a visit. As a West African nation, music naturally plays an essential role in Senegalese culture and society. The country is the birthplace of renowned African singer Youssou N’Dour, one of the continent’s greatest musical exports, who has collaborated with a range of international singers including Bruce Springsteen and Sting. Make sure you check out his funky nightclub Thiossane in Dakar where you’ll hear an eclectic mix of music including mbalax, the national dance music of the country. Mbalax is a masterful blend of western styles such as jazz, soul and rock fused with the traditional drumming sounds of the sabar drum that will have you dancing the night away. A trip to Senegal must naturally involve a stopover at its capital Dakar. While it may not wow with elegant architecture nor is it overflowing with major tourist attractions, it does however have a somewhat captive ambience. For a true taste of daily African life take a detour into the Médina, one of the capital’s most ancient and populous districts and wonder its bustling streets, stopping to admire the Dakar Grand Mosque along the way. Within the Médina district is the Soumbédioune market where you can pick up authentic craft pieces ranging from leather goods to woven baskets handmade by local artisans.